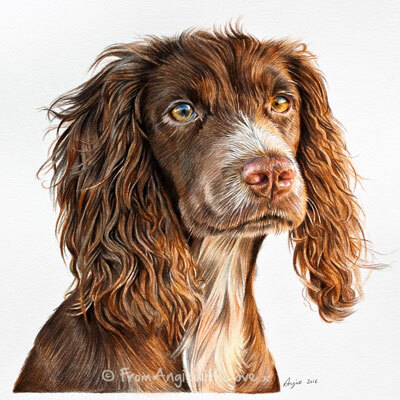 Spaniels are a versatile, energetic, and obedient type of gundog, bred to flush game out of denser brush and retrieve shot fowl from water. 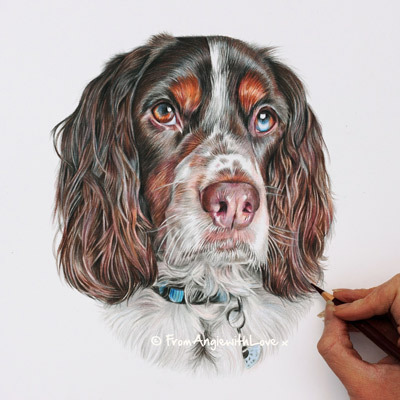 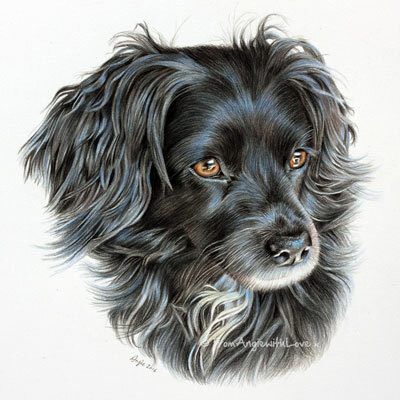 Although diverged into several distinct breeds, including the popular Springer Spaniel, Cocker Spaniel, and Cavalier King Charles Spaniel, Spaniels all share the characteristic long floppy ears and wavy coat that come across beautifully in pencil and coloured pencil portraits. 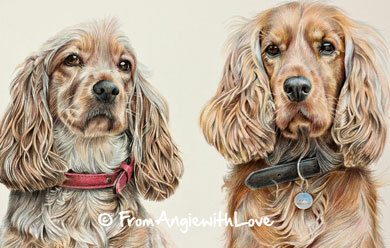 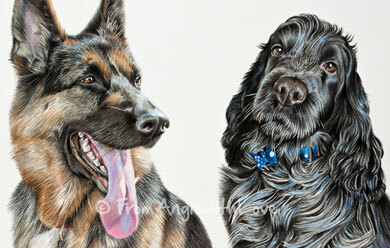 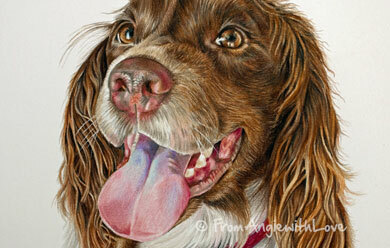 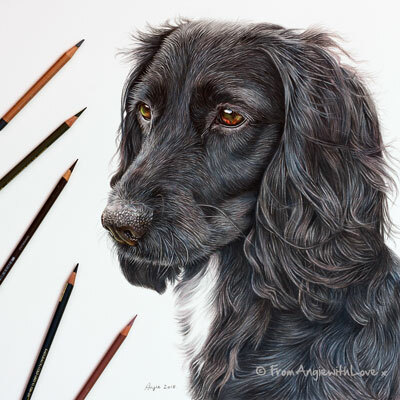 Find out how to commission your Spaniel pencil portrait here.